Many people fail to realize just how much energy there is locked up in matter. The nucleus of any atom is an oven of intense radiation, and when you open the oven door, that energy spills out; oftentimes violently. However, there is something even more intrinsic to this aspect of matter that escaped scientists for years. It wasn’t until the brilliance of Albert Einstein that we were able to fully grasp this correlation between mass and energy. 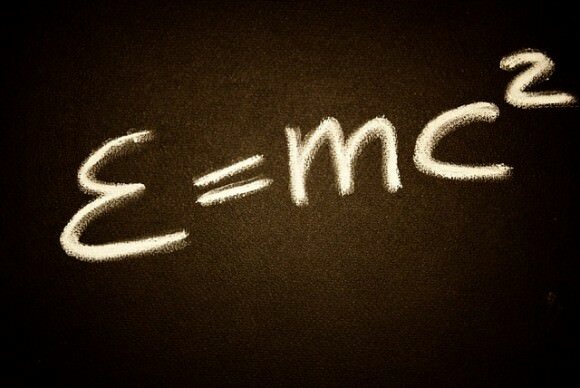 Enter E=mc2. This seemingly simple algebraic formula represents the correlation of energy to matter (energy equivalence of any given amount of mass). Many have heard of it, but not very many understand what it implies. Many people are unaware of just how much energy is contained within matter. So, for the next few minutes, I will attempt to convey to you the magnitude of your own personal potential energy equivalence. E represents the energy, which we measure in Joules. Joules is an SI measurement for energy and is measured as kilograms x meters squared per seconds squared [kg x m2/s2]. All this essentially means is that a Joule of energy is equal to the force used to move a specific object 1 meter in the same direction as the force. m represents the mass of the specified object. For this equation, we measure mass in Kilograms (or 1000 grams). c represents the speed of light. In a vacuum, light moves at 186,282 miles per second. However in science we utilize the SI (International System of Units), therefore we use measurements of meters and kilometers as opposed to feet and miles. So whenever we do our calculations for light, we use 3.00 × 108m/s, or rather 300,000,000 meters per second. So essentially what the equation is saying is that for a specific amount of mass (in kilograms), if you multiply it by the speed of light squared (3.00×108)2, you get its energy equivalence (Joules). So, what does this mean? How can I relate to this, and how much energy is in matter? Well, here comes the fun part. We are about to conduct an experiment. This isn’t one that we need fancy equipment for, nor is it one that we need a large laboratory for. All we need is simple math and our imagination. Now before I go on, I would like to point out that I am utilizing this equation in its most basic form. There are many more complex derivatives of this equation that are used for many different applications. It is also worth mentioning that when two atoms fuse (such as Hydrogen fusing into Helium in the core of our star) only about 0.7% of the mass is converted into total energy. 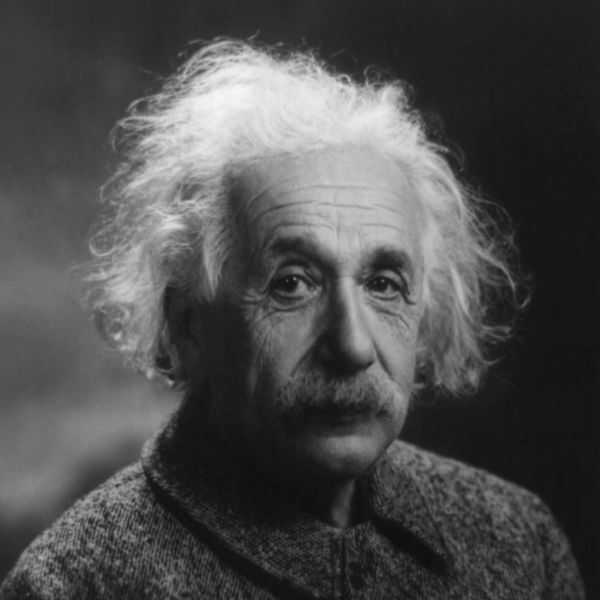 For our purposes we needn’t worry about this, as I am simply illustrating the incredible amounts of energy that constitutes your equivalence in mass, not illustrating the fusion of all of your mass turning into energy. 86,184g × 1kg/1000g = 86.18kg. So 1 Josh = 86.18kg. That looks like this: 7,760,000,000,000,000,000 or roughly 7.8 septillion Joules of energy. 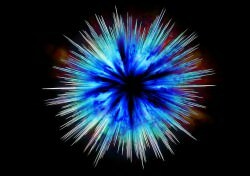 Artistic rendition of energy released in an explosion. Via Pixabay. This is an incredibly large amount of energy. However, it still seems very vague. What does that number mean? How much energy is that really? Well, let’s continue this experiment and find something that we can measure this against, to help put this amount of energy into perspective for us. 1 Joule = 2.39 × 10-13 kilotons of explosives. Meaning that 1 Joule of energy is equal to .000000000000239 kilotons of TNT. That is a very small number. A better way to understand this relationship is to flip that ratio around to see how many Joules of energy is in 1 kiloton of TNT. 1 kiloton of TNT = 4.18×1012 Joules or rather 4,184,000,000,000 Joules. Now that we have our conversion ratio, let’s do the math. 7.76 x 1018 J x 1 kT TNT/ 4.18 x 1012 J = 1,856,459 kilotons of TNT. Thus, concluding our little mind experiment we find that just one human being is roughly the equivalence of 1.86 MILLION kilotons of TNT worth of energy. Let’s now put that into perspective, just to illuminate the massive amount of power that this equivalence really is. The bomb that destroyed Nagasaki in Japan during World War II was devastating. It leveled a city in seconds and brought the War in the Pacific to a close. That bomb was approximately 21 kilotons of explosives. So that means that I, 1 human being, have 88,403 times more explosive energy in me than a bomb that destroyed an entire city… and that goes for every human being. So when you hear someone tell you that you’ve got real potential, just reply that they have no idea…. Hydrogen Bomb Blast. Image via Pixabay. Wow. That explains the powerful Vindaloo Curry I had last night. Ooooh, it was hell I tell you……hell. I shall never be the same again. It is a pity that you used nuclear weapons as an equivalent – yes, it seems spectacular. However, in a world that needs clean energy, nuclear power is always linked with bombs. Modern nuclear generator designs are based on producing energy, not explosions, yet politicians and the green culture still shy away from it. How fast could your energy get a spaceship to Mars? Love to see more equations which bring insight. I usually don’t leave comments, but I would at least like to read those of others. im afraid that i must point out a major error in your calculations. you stated that you “weigh” 190 pounds early on. then you proceeded to use that number as your “mass” after conversions in the following calculations but that is incorrect. mass and weight are two different measurements. for example, your weight on earth is 190 pounds but on the moon it would be significantly less and on jupiter it would be significantly more but your mass is always the same.